Holidays center around tradition and family values. That is why it is so important to create a heartfelt, inviting experience the whole family can enjoy throughout the entire season. 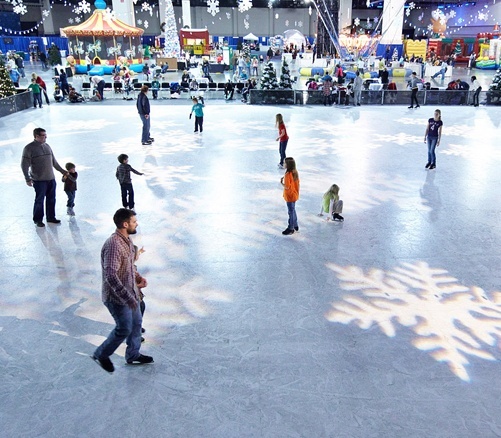 What better way to do this than installing an artificial ice skating surface for your indoor mall location or outdoor shopping center and let the families come together. Artificial Ice Events ice rinks can be set up indoors or outdoors in any climate and require absolutely no refrigeration. Specifically designed with the environment in mind, our ice rinks are made from a special synthetic plastic and can be used over and over again with little maintenance. 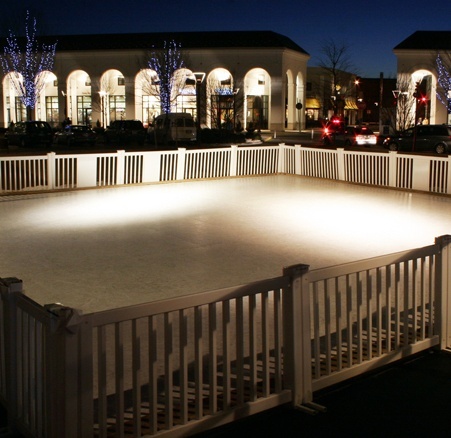 Our turnkey packages are significantly more cost effective than traditional ice rinks and our artificial ice surfaces fit perfectly with mall marketing objectives; they are décor to go, fun for the entire family, and an outlet for differentiation from other local malls. Recent clients have raved that our artificial ice surface is great for attracting media and is a great novelty attraction in warm weather states where ice skating is scarce.